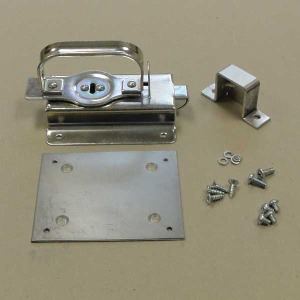 This is a Night Latch Keeper Kit for a Wilkinson Hi Rise. This discharge handle is typically for a Hopper type outlet chute door. This handle is made for mainly for a laundry chute door.